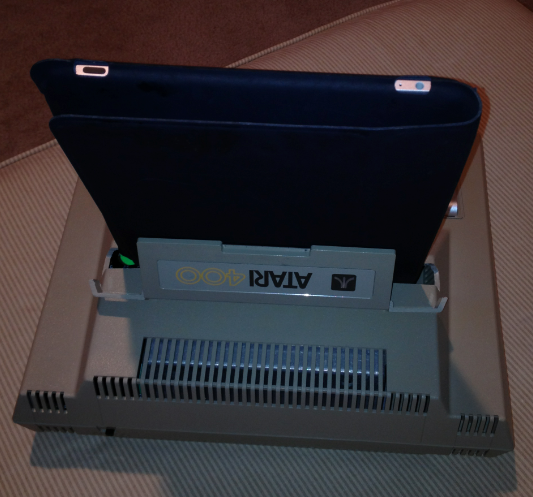 I had an old Atari400 sitting arround and thought I could put it to good use as an iPad Dock. It just required a little bit of a mod. 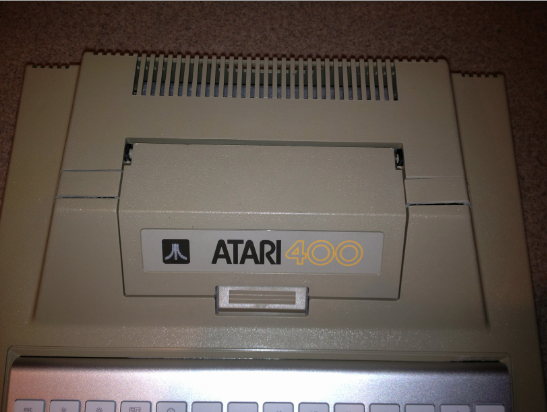 Here are some pictures of my new Atari400 iPad dock. 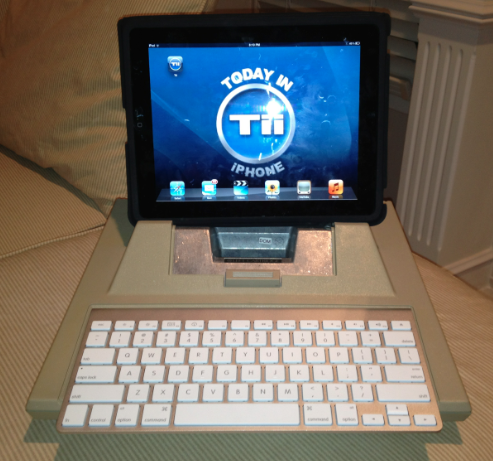 It uses the Apple Blue Tooth Keyboard and it fits in quite nicely. 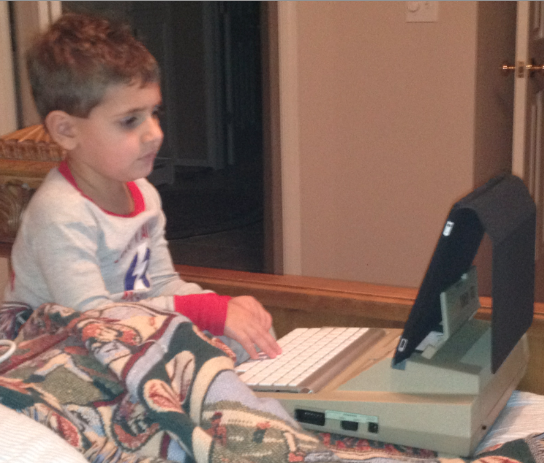 My Son quickly took to the new dock - it made it easy for him to watch Pinky Dinky Doo on the iPad and to control the volume with the keyboard. 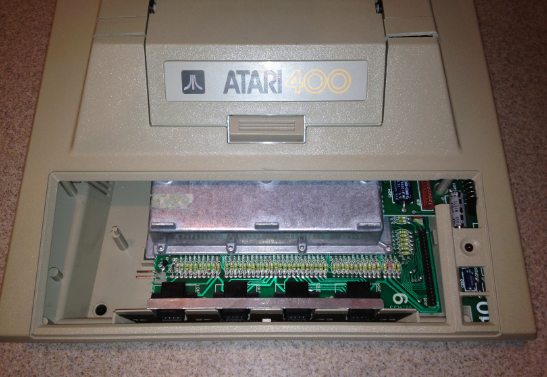 Here is a picture of the modified Atari400 with the top closed. 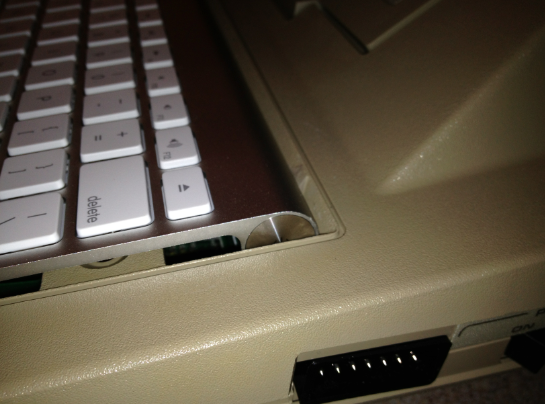 And the Apple BT keyboard snuggly in place. Here is a pic with the top open - I attached the cut outs to the lid - The cut outs are 5/8th of an inch wide to support both the iPad1 and iPad2 with covers in place. The lid when it is open supplies a nice support to lean the iPad against. It makes a great iPad stand. 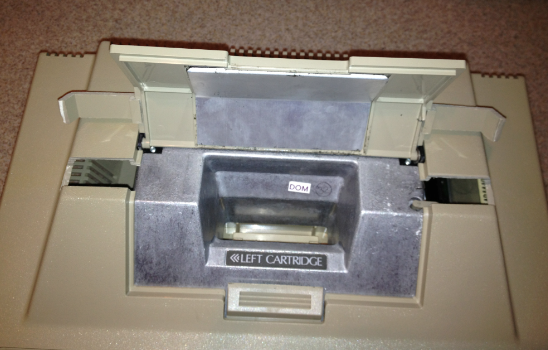 Here is close up with the lid closed to show the slots are covered when the lid is closed. With the Keyboard firmly in place - you can still get to the power button. So you can turn the keyboard on and off without having to remove it. 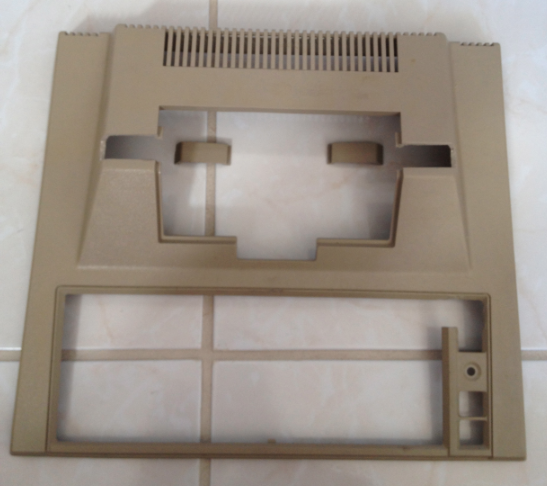 This mod supports the iPad both in Horizontal and Vertical orientations. 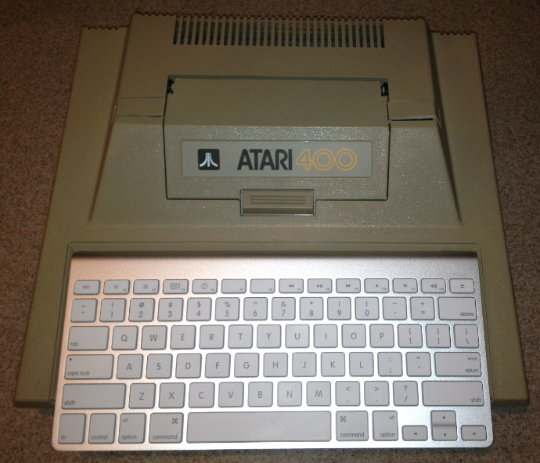 The opening for the keyboard is pretty much exactly the same width as Apple BT keyboard. Which means it fits in place with no additional attachments. You can just lift it out when you need to use it somewhere else. The only real mod needed was a cut out in the upper right and a slight dremmeling to smooth everything out. Here is what the top case looks like with all the cut outs. Remeber to be carefull with the top slot cut outs if you want to save them to attach to the lid. I left 1/4 of an inch space from the front of the top ledge and then cut them at 5/8th of inch wide and down 3/8ths of an inch on the side. For the iPad 2 with a case a 1/2 inch wide would be fine. Well you put a whole new spin of re-cycling :) Great job the pics look great.